Winds change, but children’s good opinion about the Montauk Downs play structure will not. 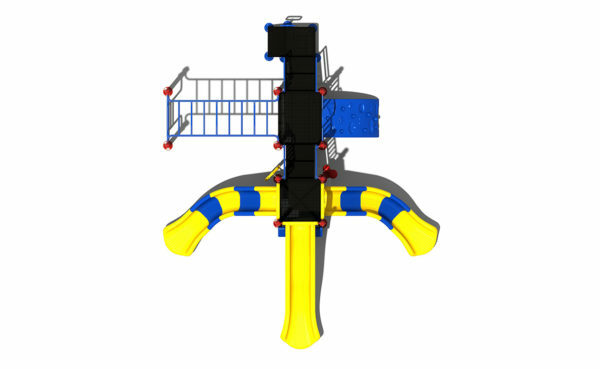 This play structure comes complete with three slides, one climber, and an overhead ladder, it is also built around two different level elevated platforms that are connected by stairs. Stairs lead up to a 36” elevated platform, this platform is also accessible by a sea creature climber, or children can take a vertical ladder up to an overhead horizontal ladder and cross that to the 36” elevated platform. From here, children can take stairs up to a 60” elevated platform where they can then slide down a left turn slide, a wave slide, or a right turn slide. A ship’s wheel, store panel, and bongos found on the ground level make for on-ground fun and makes the Montauk Downs play structure ADA compliant. This play structure is designed for children between the ages of 5 and 12 years old. 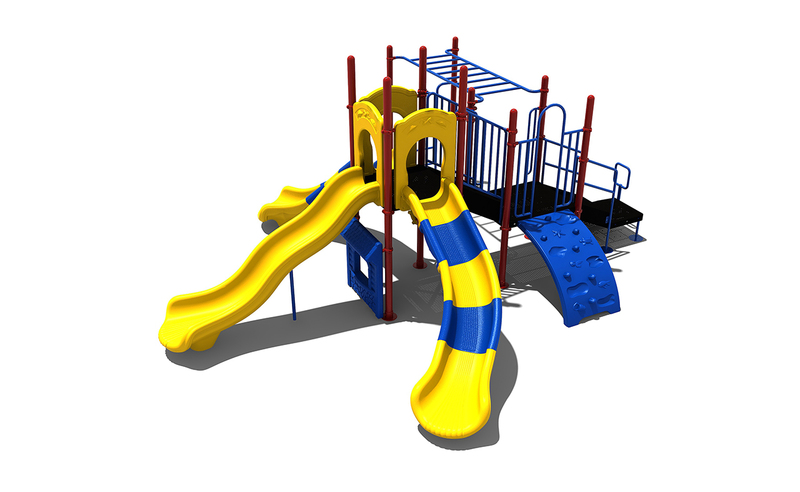 If you are looking for a structure that is sure to be popular, the Montauk Downs Playground is for you! An overhead and vertical ladder lead to the main structure where three slides are featured, all leading in different directions. A ship’s wheel and bongo drums are ground level features. This structure is designed for ages 5-12 and is ADA compliant. 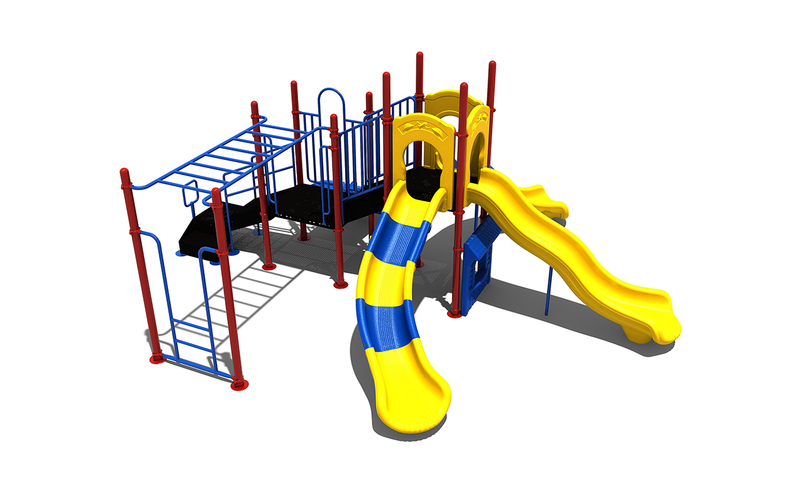 The Montauk Downs Playground is comes standard in the colors shown, however, other color choices are available! Contact any of our customer service representatives for a full color list. No structure is finished without surfacing. Be sure to check out some of our options!